It only debuted this year, but the 2016 Mercedes-Benz GLE already reigns supreme among luxury crossovers, offering Palm Coast and Port Orange drivers more than even the highly sought-after 2016 Porsche Cayenne. Both vehicles represent the pinnacle of crossover technology, but the 2016 Mercedes-Benz GLE takes everything further. GLE300d 4MATIC® SUV: Starting at $52,500, even the standard GLE offers an impeccable list of features including 18-inch alloy wheels, adaptive suspension, dual-zone automatic climate control, a power liftgate, and an eight-speaker audio system with HD radio. GLE400 4MATIC®: Starting at $64,600, the GLE400 4MATIC® features a rearview camera, keyless ignition and entry, navigation, and satellite radio. You’ll also be able to sink into leather upholstery and enjoy the crystal-clear sound of a 14-speaker harman/kardon® audio system. AMG® GLE63 SUV: Starting at $99,950, this model stands on eye-catching 20-inch wheels, and uses MG-tuned adaptive air suspension with adaptive stabilizer bars for an incredibly smooth drive. Other standard features include parking sensors in the front and rear. AMG® GLE63 S SUV: Starting at $107,100, the AMG® GLE63 S is top-of-the-line in every sense. It sits on 21-inch wheels, and boasts a sport steering wheel, suede headliner, unique upholstery, and a carbon-fiber engine cover. 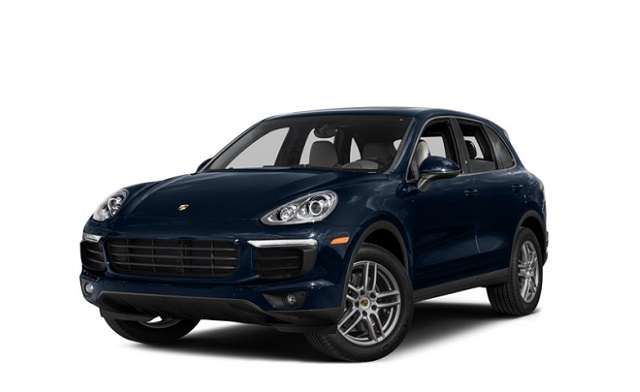 The 2016 Porsche Cayenne starts at $58,300 — close to $6,000 more than a standard 2016 GLE — and offers features such as LED taillights, automatic wipers, power-folding heated mirrors, and rear privacy glass. Models work their way right up to the $157,300 Turbo S, which receives a carbon-fiber interior trim and a Porsche Dynamic Chassis Control system. 2.1L Diesel Four-Cylinder: For up to 201 hp, 369 lb-ft of torque, and the ability to earn up to 22 mpg in the city and 29 mpg on the highway. 3.5L V6: Takes your output up to 302 hp and 273 lb-ft or torque, earning up to 18 mpg in the city and 24 mpg on the highway. 3.0L V6: Enjoy up to 329 hp and 354 lb-ft of torque while still getting up to 18 mpg in the city and 22 mpg on the highway. 5.5L V8: Puts you in command of up to 577 hp and 561 lb-ft of torque, but still makes up to 13 mpg in the city and 17 mpg on the highway. 3.6L V6: Makes up to produces 300 hp and 295 lb-ft of torque, achieving around 19 mpg in the city and 24 mpg on the highway. 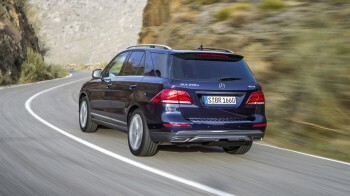 3.0L Diesel V6: Generates 240 hp and 406 lb-ft of torque, earning up to 20 mpg in the city and 29 mpg on the highway. 3.6L V6: Produces 440 hp and 442 lb-ft of torque, earning up to 17 mpg in the city and 24 mpg on the highway. 3.0L V6 Hybrid: The Cayenne’s hybrid makes up to 416 hp alongside 435 lb-ft of torque. 4.8L V8: The V8 commands up to 570 hp and 590 lb-ft of torque, earning up to 14 mpg in the city and 21 mpg on the highway. 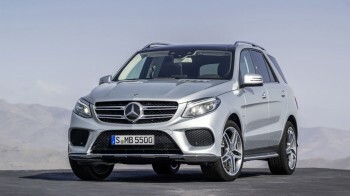 The 2016 Mercedes-Benz GLE offers greater power than the Cayenne can match. The 2016 Mercedes-Benz GLE offers more beneath the hood than the 2016 Porsche Cayenne, and it continues to do so when it comes to the interior. Standard Cargo Space: With all seats occupied, the 2016 GLE provides up to 38.2 cubic feet of storage room. The Cayenne offers only 23.6 cubic feet. 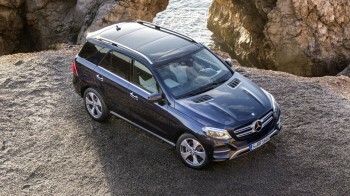 Available Cargo Space: Flip the rear seats to enjoy up to 80.3 cubic feet in the GLE. The Cayenne remains quite cramped, providing just 62.9 cubic feet. In addition to its notably expansive dimensions, the 2016 Mercedes-Benz GLE is able to wow Palm Coast and Port Orange drivers with features that aren’t available with the 2016 Porsche Cayenne. Touchpad Controller: Use a central touchpad with rotary knob and one-touch keys to control entertainment and navigation with ease. 8-Inch Screen: The best that the 2016 Porsche Cayenne can offer is a 7-inch screen. Bang & Olufsen BeoSound: With 14 active speakers, two acoustic lenses, and 900 watts of power. Both the 2016 Porsche Cayenne and the 2016 Mercedes-Benz GLE come with a wide variety of standard and available safety features, but only the GLE comes with an Attention Assist Feature. This industry-first technology comes as standard with all models, and actually monitors your driving profile for signs of drowsiness. 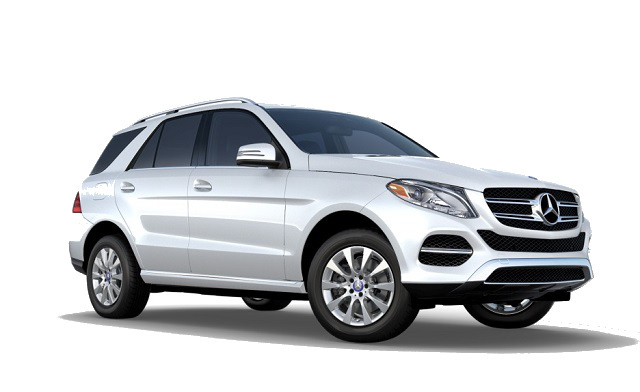 With stronger technology, more power, and plenty of space, the 2016 Mercedes-Benz GLE easily outclasses the 2016 Porsche Cayenne. For further information, just contact us online or call 855-627-5569 today. We hope to see our Palm Coast and Port Orange customers soon!